Sometimes, seasons of gospel awakening are soundtracked by a punk band from New Jersey. The Gaslight Anthem’s The ’59 Sound turned 10 on August 18. It burns as bright and significant now as it did 10 years ago. Staying power is hard to come by in rock music these days, but the spirit of The ’59 Sound, captured at the onset of the Great Recession’s desperation, still resonates today. I never took notice of the album until the summer of 2011, three years passed its release. But The ’59 Sound came to me in the middle of my own season of desperation. It was a Monday. The last day of February, 2011. At 8:05 a.m., I walked into the lobby of a local advertising agency—my place of employment for nearly three years, my first job after college—and was immediately ushered by the owner and the vice president, the owner’s son-in-law, into the conference room where, with a curious lack of detail, I was told that the company was moving in a different direction with my position. Since that day, I have been fired from two other positions. There’s nothing fun about the experience, even if you hated being in the job from which you were fired and wished with all your being that you could start over somewhere else. I had long been frustrated with my work and the culture at the ad agency and had spent a better part of a year leading up to my going-in-a-different-direction moment looking for other places of employment. I wanted to leave on my terms. Not theirs. I wanted to be in control. Not them. I wanted the satisfaction of walking out on them. Not getting kicked to the curb. Oh, and it so happened that my replacement had already been hired. She was in the owner’s office waiting for me to clear out my desk. The eponymous track on The ’59 Sound is about the fleeting nature of youth, the things that connect us in life and the tragedy of untimely death. 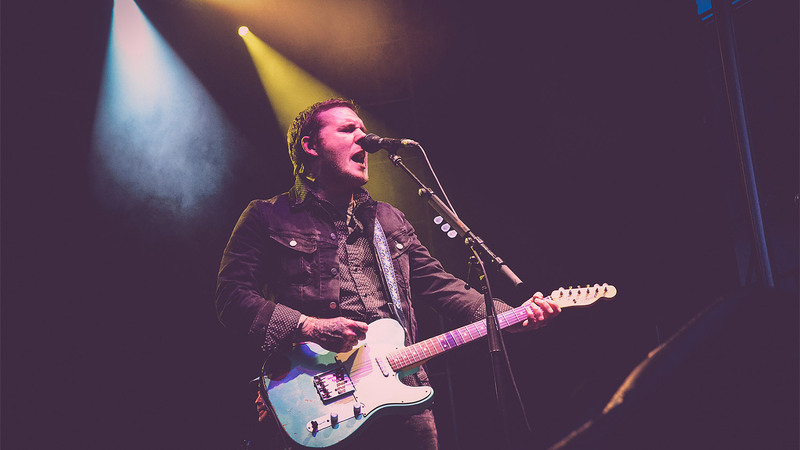 “You ain’t supposed to die on a Saturday night,” Brian Fallon laments in the chorus. No, you’re not. And you ain’t supposed to get fired on a Monday morning, either. The ’59 Sound became the primary soundtrack during my seven-month journey between jobs. The album became a guide of sorts. To this day, I only listen to it during the summer months, because it was during that stretch of unemployment that I immersed myself in it. I was without work from March through October, and that hot and lonesome summer was the hardest of that journey. Those seven months became about much more than work. It was a journey that brought me to the heart of the gospel and the resolution of life’s great, unmet expectations. There are two things about The ’59 Sound that still resonate. The first is that even 10 years later, it sounds much older than that. But that’s what will happen when you take some of the most essential elements of the American music experience—Motown, country western, punk—and weave them together. It’s pure Americana. It’s familiar yet different, raw and aimed straight at your gut. In a way it’s odd that an album with no answers in the biggest crisis up to that point in my life would mean that much to me. But I don’t think I was looking for answers from a New Jersey punk band. In the moments when God’s will for my life was completely indiscernible, when fear of the unknown blackened my heart, I had company. Someone was there to mirror my heart. Getting fired happens, and I don’t know why. Questioning God’s goodness only gets me so far, and I don’t know what will get me the rest of the way. To be fair, I wasn’t in total despair. I was the varsity boys’ basketball coach at a high school in Greeley at the time. So that kept me engaged. (Side note: I was fired after the following season.) I had my wife, Lindsey. I had my church family. But the darkest moments are still vivid. I remember a moment only two days in, sitting on the couch in the widow’s basement with Lindsey, clinging to her and sobbing. “I’m so scared,” was all I could muster. I was, as Fallon puts it on “The Patient Ferris Wheel,” in “this great abyss / of just what might have been.” I never felt so strange. I needed an ambulance. Getting fired was not part of my life plan. I was going to be someone. I was going to do meaningful, important things with my work. When it started to become clear that my work at the ad agency was not what I was hoping it would be, I became bitter. Angry. I was defining myself by what I was doing instead of what I wanted to be doing. The economy was still shaky then, and interviews were hard to come by. God was in my life somewhere, but as more of a Pez dispenser. If I asked the right way, if I pushed the button just so, I’d get what I was asking for—a new job, more money—because that’s what God does. There’s a line in “The Backseat,” the last and most desperate track on The ‘59 Sound, that goes, “And if you never let me go / Well, I will never let you down.” If, if, if. Love perishes in the presence of ifs. My relationship with my Savior was purely transactional. I wanted God’s stuff more than God himself—an illness that is not easily cured. All that started to change when I came home that morning on February 28. God had my attention. At the end of those seven months, he had my heart. There I was, a 20-something lost in the wasteland of unemployment, praying through the Psalms, crying tears of hope and pain on the pages of Notes from the Tilt-a-Whirl, rediscovering a redemption not based on my performance and working through unbelief about the story God was writing for my life. I had to decide if God was good and loving and enough even if he never gave me another job. And there, sometimes in the background, sometimes cranked as loud as it could go in my car, was The ’59 Sound with its calls to pray by the river (“Meet Me by the River’s Edge”). With its longing to be redeemed (“Old White Lincoln”). With its search for a new identity (“High Lonesome”). With its unflinching look at the disappointing realities of life (“Great Expectations”). With its disillusionment about trying to live life your own way (“The Backseat”). Those seven months were some of the worst and best of my life. I rediscovered the unconditional, grace-based nature of Jesus’s love. In all my looking for a job, I realized that my job was to find him. And I found him—or, rather, he found me—through many ways, including through the ministry of things. Jesus doesn’t come to us disembodied. He comes to us through things like bread and wine and stars (Psalm 19:1-6) and, during that summer 11 years ago, through a rock ’n roll record produced with an amp that was built 60 years ago. “Everybody leaves so why, why wouldn’t you?” This is the gut-punch line in the chorus of “Great Expectations.” Jesus is the only who doesn’t leave. Sometimes you just have to turn the radio up.